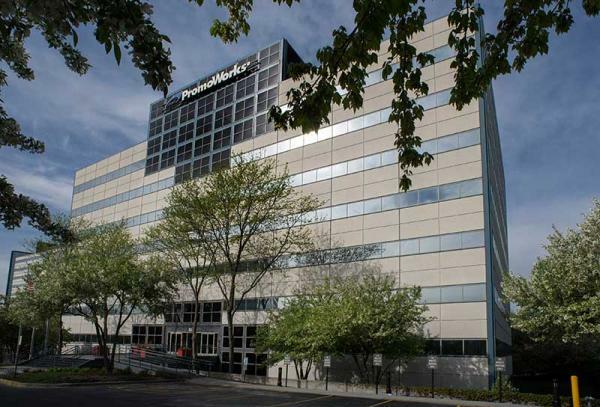 300 N. Martingale at Woodfield Corporate Center is a Class A office property, located in a prominent position in the established northwest suburbs of Chicago. The well-designed building was developed as part of the Woodfield Corporate Center complex in Schaumberg. At 156,065 square feet, the seven-story building features a 3.6 per 1,000 parking ratio in a four-story parking garage. An attached enclosed walkway leads to the atrium lobby. Located in one of the most recognizable and prominent developments in the Schaumburg market, Woodfield Corporate Center is a winning combination of a high-profile location and attractive, functional construction. The property is well-positioned within the Schaumburg office market, situated just south of a full four-way interchange at Route 53/I-290 and Higgins Road. The property is located south of Woodfield Mall, a 2.7 million square foot super regional mall. This location offers prospective tenants the opportunity to be in close proximity to many restaurants, shops and hotels, but the ability to avoid some of the traffic and commuting congestion that is associated with the area immediately surrounding the mall. The building's overall proximity to the local interstate system and regional commuter train corridors allows for convenient commuting distances to the Chicago Loop, O’Hare International Airport and to employment centers located throughout the area. For Driving directions and map, click here. Third largest metropolitan economy in the U.S.